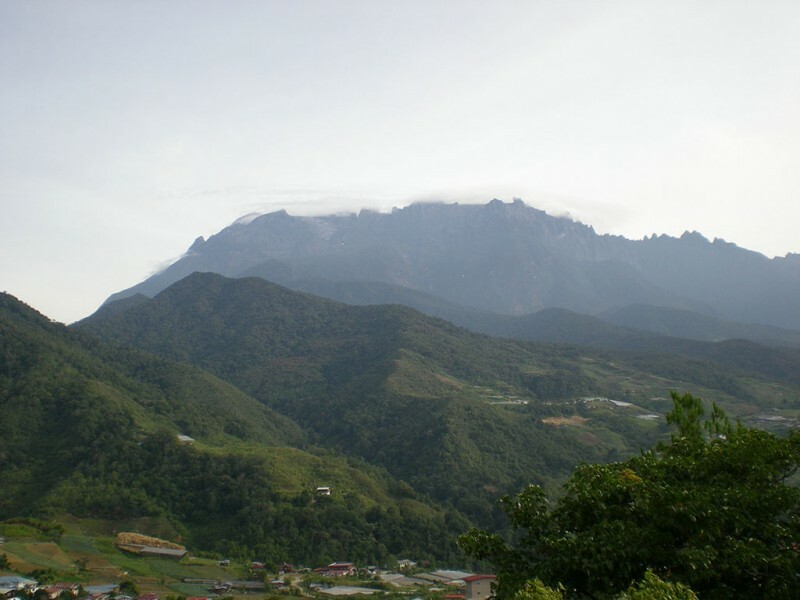 Escape Trekking Adventures and its partners bring to you a tour that includes- Kuching, Labuan Island, Tenom & Beaufort, Kota Kinabalu, Sandakan and its famous memorial, Ranau. These places all link an Australian wartime tragedy. 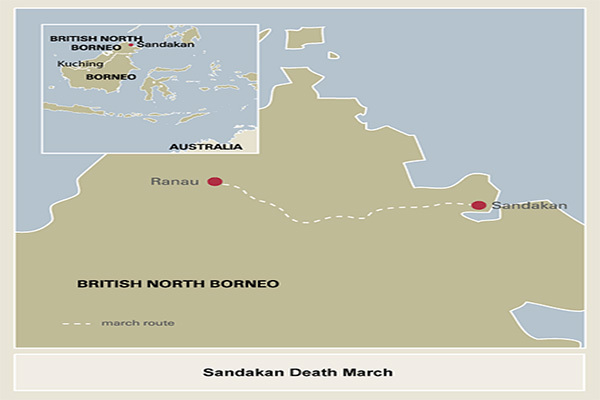 While the actual Sandakan death march route is by in large in assessable, built on or majority of the walking through palm oil plantation offering little scenic value we decided to cover the entire Borneo campaign that was a large scale Australian operated battles. Click on our Borneo tour dates (tab at the top of the page) to see our small group set departure dates and all the information you require. Please note that the itinerary is just a guide and can change for a number of reasons. Your guide will keep you informed of the daily itinerary should it need to change. Your Borneo tour package starts when you arrive in Sandakan international airport, Borneo, Malaysia. You will be met at the airport by our Escape Trekking Adventures representative, and be transferred to your Hotel for the first night. Your guide will inform you of a briefing time and location at the first nights accommodation. You will be briefed on what to expect while on tour and what is expected by our travellers. If you have any questions, the guide will be more than happy to answer them for you. Your group will enjoy a good meal in pleasant surroundings (personal expense as are all Lunches and Dinners on the tour) and discuss the adventure ahead. Today we explore the large town of Sandakan, plus visit the Sepilok Orangutan Rehabilitation Centre where there are opportunities to photo these free ranging, engaging animals in their preserved jungle sanctuary. We support the historical introduction, events and information with maps, diagrams and researched commentary, focusing today is on the wartime history including a visit to the Sandakan memorial site situated on the grounds of the horrendous wartime POW Camp with memorial, artifacts and interactive information display. 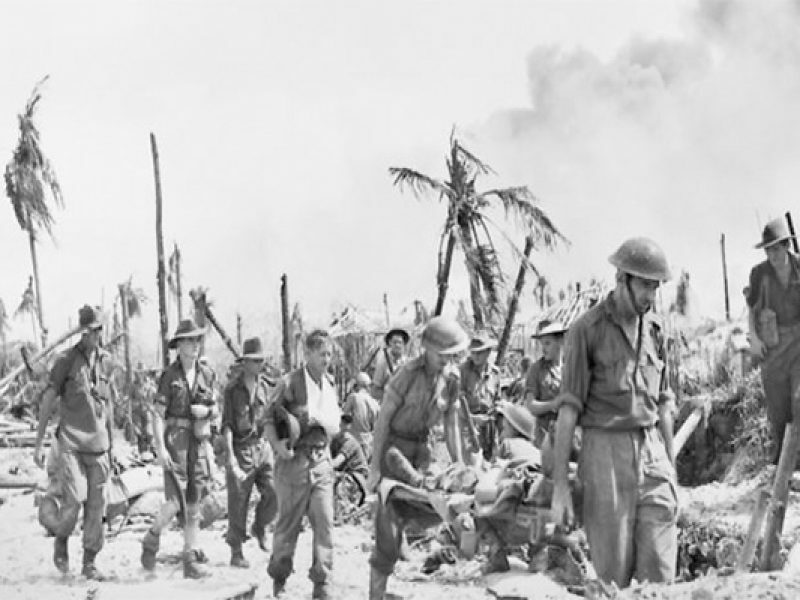 It assists in the background to this terrible story that engulfed the POW’s in WW2’s Borneo. The tour stops to inspect St Michael’s Church, which was an assembly location for newly arriving POW’s, plus the well organised Agnes Keith Museum House. Agnes Keith was an American author living with her husband at Sandakan when the Japanese invaded and interned her and her family. 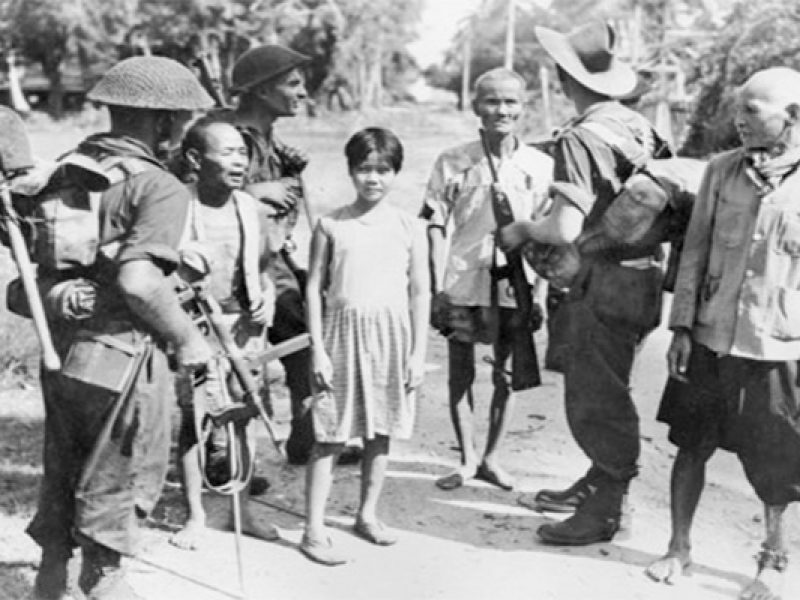 She was held at Kuching in Sarawak, along with the Sandakan POW’s selected for transfer by the Japanese. She wrote a popular trio of books about her experiences pre, during and post war. During the closing stages of the war, prisoners from the Sandakan POW Camp were marched in a succession of groups, across the island to camps near Ranau. The sick (unable to travel with the groups) were murdered at the camp when the last of the groups had left for the center of the Borneo Island. Tonight’s dinner at the English Tea Garden (own expense) – a wonderful setting. Today we travel to Kundusang along many parts of the prisoners’ march – now modern highways – and inspect the War Memorial Garden. 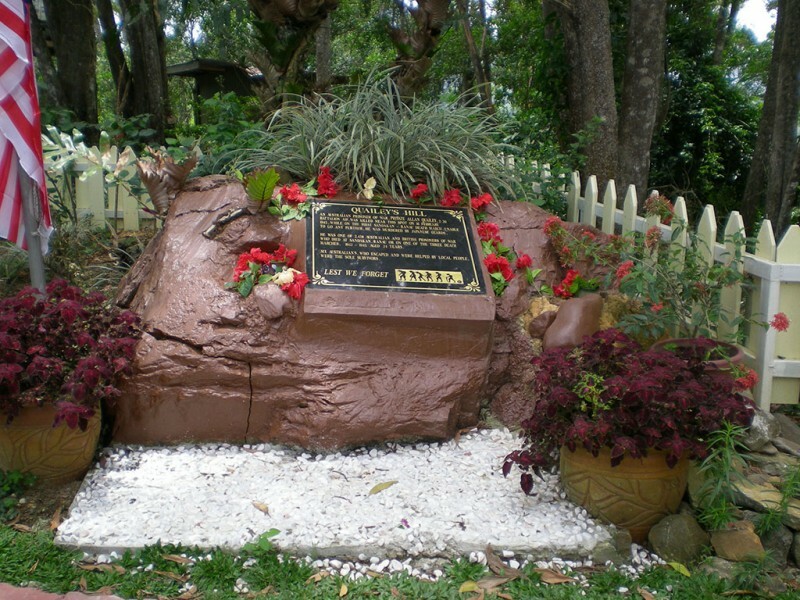 The gardens were established in 1962 – this being one of the first memorials to commemorate the brave Australian and British Prisoners of War who died in Sandakan and during the infamous death marches to Ranau and camps there also during war against Japan. The Memorial also remembers the national people of North Borneo who risked their lives to help the POWs during the Japanese occupation. The Memorial is made up of four beautiful gardens – the Australian Garden, the English Garden, the Borneo Garden and the Contemplation Garden and Pool – to represent the different nationalities. 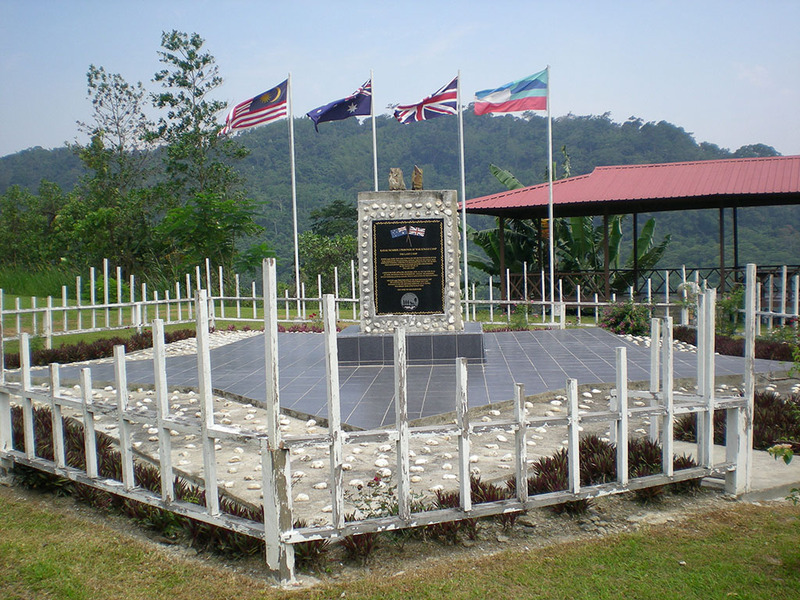 The Kundasang War Memorial an ideal place to contemplate and remember the heroes of the war. Tonight we will overnight at a mountain resort in a scenic setting. Today our travels take us to the POW Camp locations around Ranau area with commentary about events and identities of this area and the Death March. On completion of the Ranau area we continue driving in Southerly direction to Tenom along the (now) highway, which was a vehicle supply route for the Japanese during the war. On route we will have lunch and check in to our overnight accommodation in the early afternoon. Tenom is the site of a nearby Agricultural Park, which has a world-class collection of orchids and other fine plant displays. Tenom is also the terminus for a prewar “colonial” era narrow gauge railway, which travels down of the mountainous area of Tenom to Beaufort and onwards to Kota Kinabalu (the capital of Sabah state). The railway line as a supply and transport medium had wartime importance and application including the strategic planning of the Australian operations later in the war. We will use this rail tomorrow to travel down from Tenom to Beaufort – if available at the time of our presence at Tenom. Otherwise we will travel to and beyond Beaufort by vehicle. Early this morning we depart for Beaufort by the scenic and quaint narrow guage light railway or by vehicle if the railway route is unavailable. 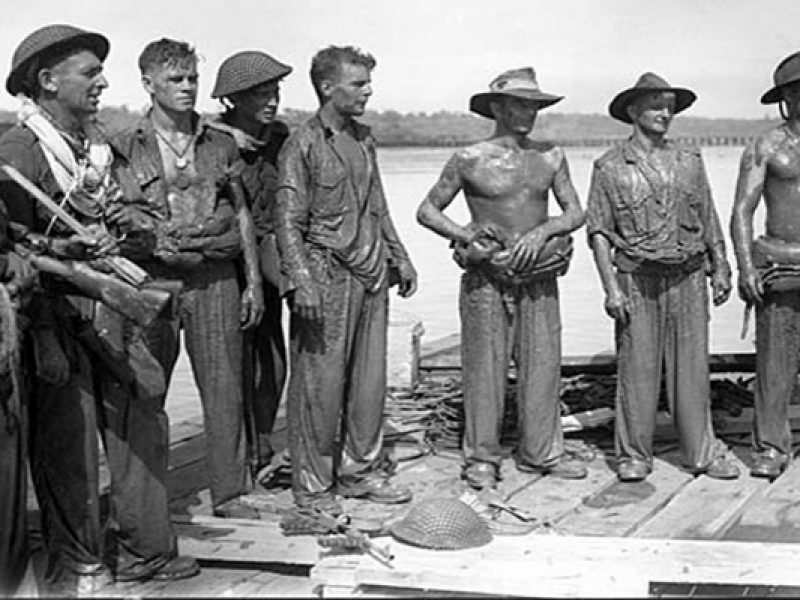 We will travel to Weston which was the landing point and beach head for the Australians and their mainland arrival in wartime Borneo. 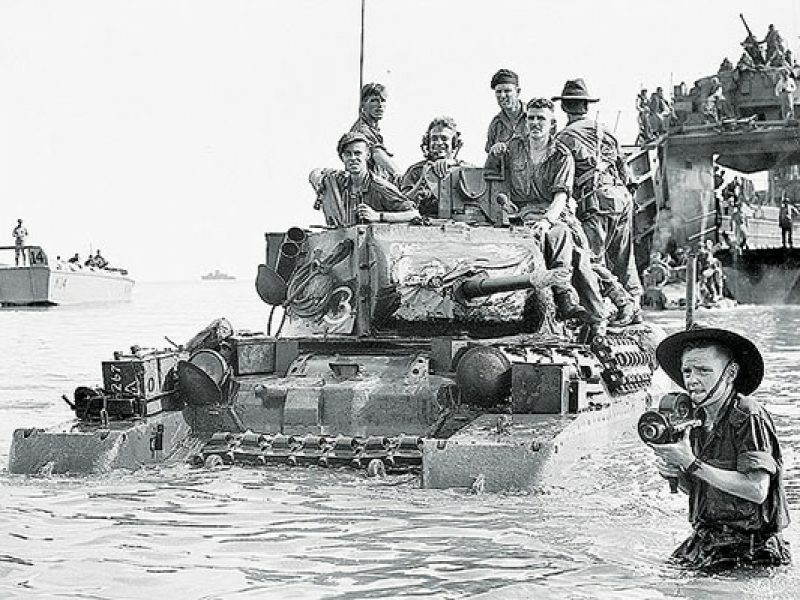 From Weston we will retrace the Australians’ advance to Beaufort – which you will find is a major regional center and, the final base of the Australians at war’s end in Northern Borneo. 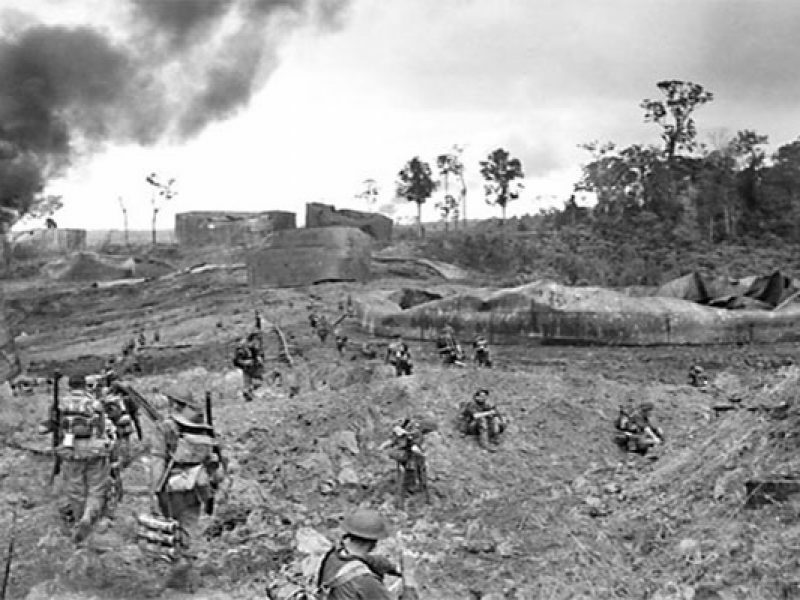 It is also the site of one of the last Australian won VC’s – Tom Starcevich. We visit this site. The Japanese area commander surrendered to Australian forces here at the cessation of hostilities. Our lunch today is at Beaufort, alongside the local regional market place. We travel to the marine ferry terminal at the small coastal port of Menumbok, and take a ferry across to the small island of Labuan. While on the island we can take advantage of duty free prices on many items. Labuan is a trade-free zone and tax-free haven and an International Offshore Financial Centre so you can expect some great deals on souvenirs. During the morning we will spend a half-day sight seeing including Surrender point, Peace Park, chimney Museum, pocket battle area, old coal mines and the Brown beach landing area. Over the course of the day the Australian landings and campaigning on the island are discussed and places of relevance visited – including the Surrender (of the Japanese) Memorial and, importantly, the Commonwealth War Grave Cemetery. 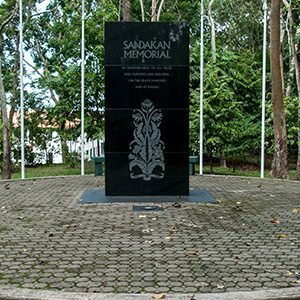 The located remains of those who died in the Sandakan Camp and Death March are buried here, along with other service people who died in the taking of Labuan and Northern Borneo in the closing months of the war. There are 3,908 graves of fallen soldiers who remain here. We pay our respects to those who died here. A high-speed marine ferry takes us to Kota Kinabalu for a 2-night stay. While here we take an orientation tour and visit sites of relevance to Allied PW’s and local history including war time resistance against the Japanese. Kota Kinabalu was destroyed by day and night Allied bombing raids over six months as part of the Borneo Campaign in 1945, leaving very few buildings standing after the Japanese surrender. We spend a day free time exploring Kota Kinabalu and take a break from the tour timetable and historical stops. Kota Kinabalu also features a large number of shopping malls to explore. These include Imago Mall KK Times Square, Oceanus Waterfront Mall, Kompleks Karamunsing, Centre Point, Wisma Merdeka, Warisan Square, Plaza Wawasan, Kompleks Asia City, City Mall, KK Plaza, Megalong Mall, Suria Sabah and 1Borneo, which is the largest hypermall in Kota Kinabalu. Kota Kinabula offers many temples, and markets to explore – many of these are vibrant night markets. This morning we will transfer to Kota Kinabalu domestic airport and fly onwards to Kuching. The flight to Kuching (which is in the Malaysian state of Sarawak) is short and, after establishing ourselves at our accommodation, we take a half-day tour, which includes war relevant sites and locations. Most particularly we visit the combined POW and Internment campsite – now a Teacher’s Training College at Batu Lintang. 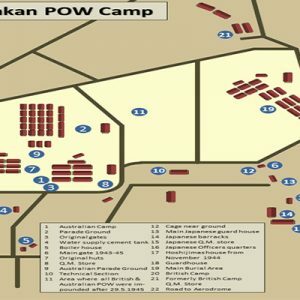 Most officers from the Sandakan PW Camp were shipped to Kuching’s Batu Lintang Camp – along with known troublemakers from the Other Ranks following the Japanese discovery of the PW connection to the local Sandakan Resistance Movement. The ringleaders of the Resistance, both from the camp and outside, were also moved to Kuching for harsh treatment then execution. We visit locations used by the Japanese and explain events. Today is a free day of exploring and relaxing. There is much to do in Kuching, why not book a Sarawack river cruise, visit Fort Margherita built in 1879 by Charles Brooke, explore more markets or just soak up the culture food and drink relaxing the day away. Today you will depart Kuching on our prearranged airport transfers or travel in an onwards journey to another tour/destination. (Please note if you choose not to take our airport departures transfer on the last day of the tour package, the inclusive transfer will be forfeited). Our optional extras for our Borneo tours include single supplement for the hotel component of the tour. 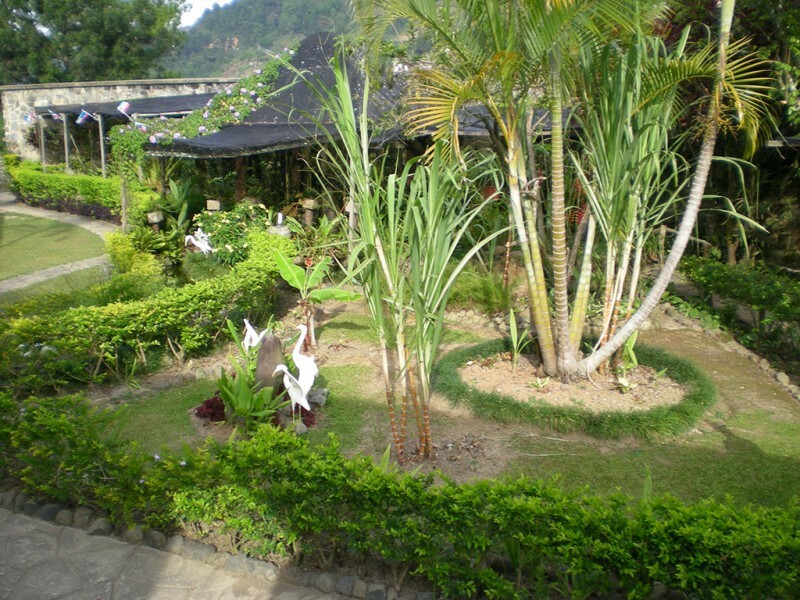 If you would like to have your own privacy in the hotel this luxury comes at a price of $425 for the entire trip. You can select this option while booking your tour or after the booking is made contact our office to arrange this optional extra. Ensure you bring 4 changes of comfortable walking attire, trekking clothing used for warm weather adventure is generally comfortable to wear, dries quickly when washed and has a reduced odor if you tend to sweat a little. We recommend bringing along a couple pairs of gym lycra tights to wear under your shorts to help prevent prickly heat or rubbing between the thighs. No Visa is required for Australian tourist on a short stay basis in Borneo (below 90 days). Below is details listed from http://www.borneo.com in regards to their visa requirements. This tour is graded 4 out 10 Easy grade (self assessed medical questionnaire required). So you have decided to choose Escape Trekking Adventures to facilitate your Borneo adventure, Great choice! What are the processes to book, pay and complete your Borneo tour? Frank Taylor has been contracted to deliver this 11-day programme in high level of historical detail he is renowned for with his Kokoda Trail, Thai Burma and Western Front tours. Working with Escape Trekking Adventures Franks Training in military tactics and the understanding of the battles and inhumane actions that took place there compliments Escape Trekking Adventures philosophy of adventure travel with highly trained guides delivering historical and culturally exciting tours. Shane & Frank desire to keep this important part of Australia’s history alive and fresh in Australians memories for years to come. If you are looking at touring Borneo it is essential that good health and preparation with regard to your health is the first and foremost task. As with all adventure travel outside of your usual environment you will need to be prepared for the activity. This is a viral disease of the liver which is transmitted through eating contaminated food or drinking contaminated water. it is the most common vaccine preventable disease that occurs in travellers to less developed areas of the world. It is strongly recommended for travel to Sabah. This is a viral disease of the liver that is transmitted via blood, blood products or bodily fluids. It is vaccine preventable and now part of the childhood immunisation schedule. Many adults may have missed this important vaccine and travel is a good reason to get up-to-date. It is highly endemic in Sabah. Typhoid Fever is caused by a bacteria found in contaminated food and water. It is endemic in the developing world and vaccination is recommended for travellers to areas where environmental sanitation and personal hygiene may be poor. Cholera is a severe diarrhoeal disease caused by a bacteria. It is common in developing countries and is associated with conditions of pverty and poor sanitation. Cholera can cause rapid and severe dehydration. Travellers to Peru who follow the rules of eating and drinking safely will minimise their risk. There is also an oral vaccine available for cholera which may be recommended in certain circumstances. JE is a mosquito borne viral disease prevalent in rural areas of Asia and Indonesia that can lead to serious brain infection in humans. Risk is usually greatest during the monsoon months. A vaccine is available and is particularly recommended for adults and children over 12 months of age who will be spending a month or more in rice growing areas of countries at risk. Insect avoidance should be considered the primary means of defence.